Which ones should I really try to avoid? Are All ENumbers Bad for Me? No, not all Enumbers are bad. The letter E (for Europe) together with its number, simply means it's been tested by the powers-that-be in the EU and gives it an easily identifiable code to make it easy to look up. Natural substances like vitamin C (E300), paprika (E160c) and even oxygen (E948) each have an eNumber assigned to them, along with many other naturally occuring substances. All added preservatives have been tested (and therefore have Enumbers) and most are safe in small amounts (within ascribed recommended daily intake limits) and - rather than being 'bad' chemicals - have actually helped to remove the threat of serious food poisoning such as that caused by botulism. Many people are concerned about the long-term effects of consuming certain 'Enumbers' and especially the effect they could have on children. 'Enumbers' do go through lengthy testing processes before being unleashed on the public, but some have proven links to negative side effects on certain consumer groups. Often though it’s because a person is particularly sensitive to an ingredient or element within that chemical, or because it exacerbates an existing condition they have.
" 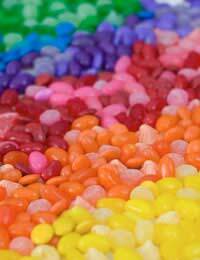 Name or E number of the colour(s)’: may have an adverse effect on activity and attention in children." If you spot any food items (especially those aimed at children), which contain any of the above E numbers and do not show the warning, contact the Food Standards Agency. Otherwise known as MSG, Monosodium Glutamate, E621 is a flavour enhancer that’s commonly used to pep up food products and make them taste better. Unfortunately, it is known to cause problems for some people – and certain people seem to more sensitive to its effects than others. Amongst the known side effects, MSG can cause symptoms such as headaches, nausea, dizziness, muscle pain, palpitations and even pain. Aspartame, E951 is an artificial sweetener that’s commonly used as a sweetening ingredient. In particular, it’s often found in products aimed at dieters or diabetics, such as desserts, low-fat foods, low sugar drinks, snacks and sweets. It’s well known to be linked to problems in people who suffer from the condition PKU, and they are well advised to avoid it completely. But aspartame has become a concern to other people too and side effects, such as headaches, have often been reported. E211, sodium benzoate, is an E number that’s used as a preservative and is found in products such as margarine, salad dressing, soy sauce, sweets and soft drinks. Studies have found that it’s linked to hyperactivity in children, plus it may cause reactions in people have allergic conditions or asthma. Black PN, E151 is a form of black synthetic dye that is used as a food colouring in some products. However, concerns have been raised in other countries, as it’s been linked to allergic reactions in some people. It is already banned in Australia, Austria, America, Germany, Norway, Sweden, Switzerland, Belgium and France. Brilliant blue, E133 is another synthetic blue colouring dye, which adds a blue colour to some products. Some people have been found to experience allergic reactions after consuming products containing E133 and this E number is already banned in Austria, Sweden, Switzerland, France, Germany and Norway. Calcium Benzoate, E213 is a form of preservative that’s used to lengthen the shelf life of foods and drinks. It’s often found in low sugar products, but it has been linked to side effects in people who have allergic conditions. Want to Check out the Complete List of ENumbers? To make life easy for you, we've put together a couple of tables with comprehensive lists of ENumbers and what they are. Read the complete overview of ENumbers here. Hello, I am interrested in these numbers, and also the use of salt, sugar and other substance in food and food products after many cases of cancer and sickness in the last 10 years in members of the family. Since foodproduction is a question of large industries and comtamination of food supplies, with transgen, and productucs to cure animals, and all kind of other material, including the fact that depressive peope do not have so much resistance to sickness, this can be a deadly cocktail. When you add the fact of low income, not being able to buy more expensive food for more than 30 % of world wide population, the reason is very clear. I'm looking for some advice, I have a little girl who has to take montelukast for her asthma however it has aspartame, and mannitol in them and she is reacting like anything. Anything I can do to help her. I need information please regarding bad E numbers.So we can buy the right food to my family. I was having bad side effects from medication I have to take for a heart condition. I found some brands affected me more then others and kept asking my chemist could I have the one that seemed to agree with me, I really felt like a nuisance and in the end had to go to another shop. ( I was made feel it was in my head , they kept promising them and then letting me down and I was at their mercy as I had to take the medication ) I then found out the coating contained E133 which is banned in six European Countries. It was terrible that I had to suffer a sick stomach,headaches and dizziness for so long , I recently ate some mushy peas and the following day discovered they contained E133 ! I had woke with the dreaded headache etc. I can try to avoid food with E nos but not medicines and to make matters worse I have to take them everyday. These E Nos should be banned from everything but most importantly from medications. when i was a young child, E133 from a strongly coloured drink (those cheap round cartons you used to get at school?) made me come up in whelts and nearly go into shock. I avoided it for a long time, but i've never had it happen again. Instead it can give me a headache however. I see it less and thought it was banned, but just picking up some m+ms was the first thing in a while to have it. I also worry about those brightly coloured cocktails: no ingredients list...and its really liquids like these which must have a vast quantity of it...they are about the only thing that causes a strange headache and trippiness in me, although i'm not that allergic anymore. I think that it's a bit stupid that people just don't care about eaing well and then they complain that there child isreally badly behaved and then the poor child is tourmened and complains of mistreating.But maybe I'm wrong but it is there fault soI have two words to say: EAT PROPERLY !!! @Jay. We don't have any information on studies relating to pets unfortunately. i need help regarding any studies or personal experience of having the negative effects of any E numbers on the health of pets like cats and dogs. After drinking diet lemonade lI found that it made my skin itch on the lower legs.I stopped drinking it to see if it was something else ,but after trying it again the itching came back. I read that E133 is forbidden in several countries of Europe. Is there no European law? In which law in Germany or France is written that E133 is forbidden? I can't find. Who can help me? My daughter is nearly nine years old.She is a very energetic and lively child generally but after eating JAM becomes - very loud, will not listen to simple instructions, almost high, very silly and basically uncontrollable! Looking at all the ingrediants there is so many additives that could be the cause?? I know now to maybe swap to a reduced sugar Jam but anyone have any ideas of the main ingredient causing this so can try to eliminate this from her diet???? I have recently become a grandmother for the first time, I always used woodwards gripe water for my son and as his daughter ( my new grandaughter ) is economical with giving up her wind I thought I would buy some gripe water, However i have much more information these days regarding enumbers so imagine my surprise and horror that it contains e217 and e219 which is banned in france and australia and isnot suitable for children, let alone one month old infants, how is this poison allowed on our shelves ? I do my own research these days and am horrified that there are so many poisons in the food on general sale and no-one is doing anything about it. There is obviously a reason for this, population control comes to mind as doesour reliance on pharmacutical companies making them more money than we could only dream about, its disgusting and high time we stood against it !!!! What decent government would allow this??? My daughter who is usually placid and fairly compliant has had tantrums after eating certain foods...kinder chocolate and party rings have sparked these weird outbursts which last around five minutes. During this time she cries, kicks and almost froths at the mouth. The only common ingredient I could find in these foods is soya lectithin. Is it possible this could be causing these odd mood swings? Anyone got any info on this?